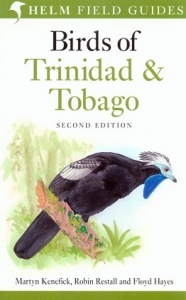 Trinidad and Tobago are popular tourist destinations and the islands are also a top location for visiting birders. This comprehensive and portable field guide covers every species found on the islands. The concise text includes descriptions of every species, highlighting plumage variation and distinctions from similar species. The plates use the relevant images from Birds of Northern South America to create new plates specific for Trinidad and Tobago. This new edition has been completely revised. The plates have been extensively re-worked, with many images replaced and repainted. As a result, there are now eight extra plates, and some groups, such as flycatchers, have been repainted almost in entirety. The text has also been updated. This new edition supersedes all previous field guides to these popular islands. Paperback; 272 pages.